Like Maggi, AAP is in a soup. Like Nestle, AAP is facing a crisis of credibility. Like Maggi, most of us loved AAP at some point in time. Even those who detest the political AAP, flirted with the activist AAP a few years ago. Hit by lead and law, both are in a middle class muddle. Ever since AAP captured the fancy of our taste buds, it engaged in a battle with the Lieutenant Governor over what it sees as an encroachment of its turf. But to blame the Prime Minister for everything including fake degrees, wife beating, internal dissent, sanitation strike and overall failure to govern is as misleading as Maggi’s promise of being healthy. So where did the recipe go wrong? Well, in a hurry to take the two minute route to power, our Ghaziabad based Urban Gorilla ignored the safety standards by adding unhealthy elements like Jitendra Singh Tomar and discarding the relatively healthy ingredients like Prashant Bhushan and Yogendra Yadav. To make matters worse, Somnath Bharti’s wife accused him of being Somnath Marti, which led the consumers to believe that rogue elements were a part of the AAP tastemaker. So, even while the consumer demand stays, AAP is under the scanner like the banned noodles. Is AAP a soft target as some economists like Gurcharan Das, believe Nestle is? Well, Arvind Kejriwal is not the first CM to be in power in Delhi, with a not so helpful Centre. Shiela Dikshit cooked her noodles well, maintaining healthy standards even when NDA was at the Centre. Like Nestle, Delhi CM should remember that he reached where he is on the basis of a massive mandate of trust. Like Nestle, blaming the rival brands for your own indiscretions does Kejriwal no good. Much like the Maggie slogan ‘Taste Bhi, Health Bhi’, AAP’s anti-corruption slogan sounds unpalatable when its ministers occupy positions of power on the basis of fake degrees. The press statement that announced Nestle’s decision to withdraw their product was as vague as Manish Sisodia’s defense of Tomar’s alleged fake degrees. He insisted Tomar was innocent in the morning, but removed him from the shelf by the evening. That an antagonistic BJP is posing hurdles is as obvious as Kejriwal's stubborn, morally superior ego. In this Ajeeb Jung over transfers and appointments, the LG doesn't emerge smelling of roses either. But you can’t hide behind a shield of victim hood and continue to blame rivals. Barkha Dutt in an article on Maggi says, “Even if the lead detected is sourced back to ground water, as some have argued in defense of Nestle, why is it not their duty to first treat the water? Likewise, even if the Centre is creating hurdles, as most in the AAP argue, why is it not AAP’s duty to solve the issues amicably? At least move on the areas that are firmly in your jurisdiction. Whatever the case, the Delhi CM must come good on his promises or we will have no choice but to believe that what is fast to cook is not good to eat. At least, not in politics. Needless to add that once you are thrown out, occupying the coveted market shelves becomes a painstaking affair. Unless you want to run away from the market. Again. Which do i like better-the humor or the analysis of our Delhi politics? Both equally. This AAP is a sad unfolding of a bright dream. Thank you Indu. Sadly most good people have left the party. Most of us felt the same way Nabanita. But the man is anti everyone. Everyone is bad but himself. Jung is quietly creating hurdles and enjoying the fight. If this goes on, he will face public backlash too. Superbly penned. Though the status quo is distressing. How he has fallen. I used to be a big supporter of the man rooting for him but he has shown that power corrupts. Just like we say in Hindi, akal par patthar pad gaye hain. Sigh! I am just glad that I don't live in Delhi not that the Congress government here is anything to shout home about. I really liked Yogendra Yadav. Tragic the proceedings in AAP. Arvind, they say acts first, thinks later and regrets forever. You can't be anti everyone and everything. Find solutions. The greatest disservice by AAP has been to spoil the pitch for other well intentioned, competent folks who may want to take on the task of nation building. The electorate will be wary of trusting easily. Good to see you here Shital. True, they messed up with Delhi and the electorate trust. I totally loved this Alka. I wish there was some way of commenting via my mail box. I was itching to comment when I finished reading this post in my mail in the wee hours of the morning. What an analogy with Maggie! You are a class act Alka! It is such a pleasure to read you. Regarding AK... as long as he was spearheading the India Against Corruption with Anna Hazare, I had hopes from him... primarily because of Anna's reputation for no nonsense. Moreover, I'm sure all of us were fed to the teeth with scams blowing up in our faces everyday. But after the way the IAC movement fell apart, this man lost my trust. In fact, I'd choose Cong over him. At least with them you know where you are! I totally don't understand how some people STILL root for him. God bless them..! Frankly, I didn't quite understand how they won a majority. I was with them in their activist phase but then they began to implode from within. Arvind's stubborn attitude, his U turns, his hurry to gain power, his shoot and scoot politics, his holier than thou stance and his ego battle with none other than Modi who has been in politics for decades put me off. So so happy to see you here. And the fact that you liked this piece. Thank you Rupasi. Glad you liked it. I lost faith in AAP long long ago. I think Delhi is definitely in a soup right now ! You write marvelously Alka. This was satire and critique at its best ! It is always a delight to read you ! Thank you for taking the time Rahul. I fear that we are simply a nation of loudmouths who lack the competence to produce anything real. Or perhaps our system is designed in such a way that the only success you can have is failure. I think the worst crime on humanity is to give people hope and then fall woefully short in delivery. The AAP has four more years left to convince us that they won't be indulging in that crime. Rickie, the way they are imploding from within, I am not sure about the four year term. Though I wish them well. 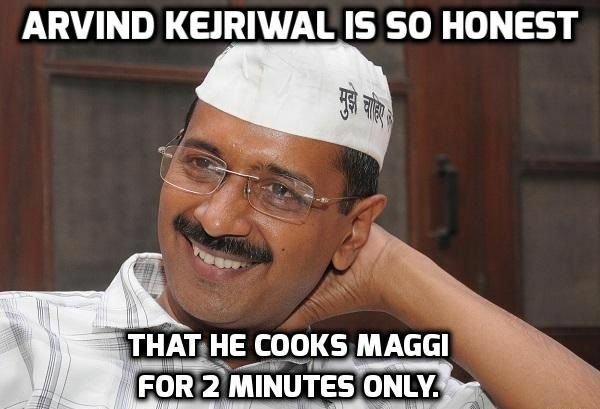 Disappointed with AAP, but your comparison with Maggi on the state of affairs is so good ! Hope they recover from now on. 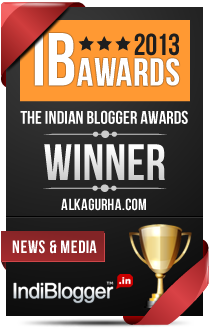 Hi Alka, Very nicely written and a fabulous comparison. Sadly the AAP story is turning into a tale of "a beautiful garland in the hands of a crazy monkey". Hope some good sense prevails and these guys start doing something for the people of Delhi soon. Cheers! And to think how we cheered with the the landslide victory! They seem more like squabbling kids fighting over goodies. Loved your analogy and it was brilliant. Every Indian (here and abroad) had hopes on him and AAP. As you said, the man is anti everyone. Everyone is bad but himself.